COUPON MUST BE PRINTED. Printed coupon required per person. 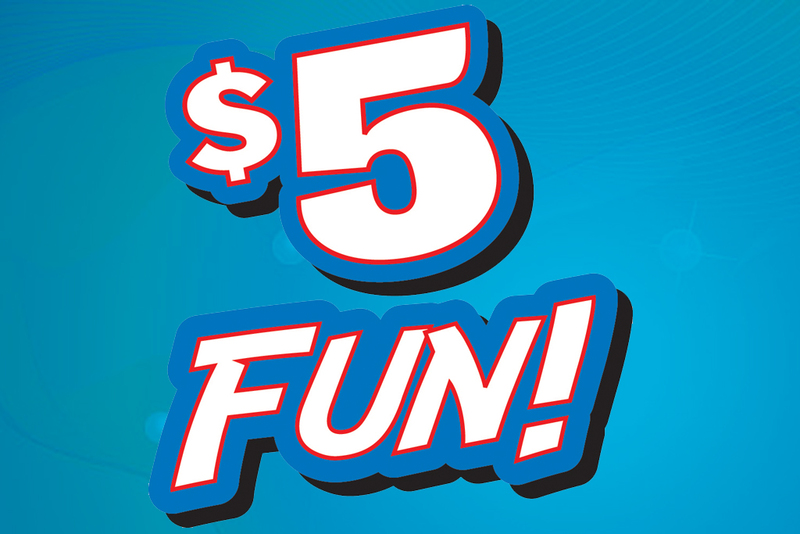 $5 is per attraction. Cannot be combined with any other discount or special offer. 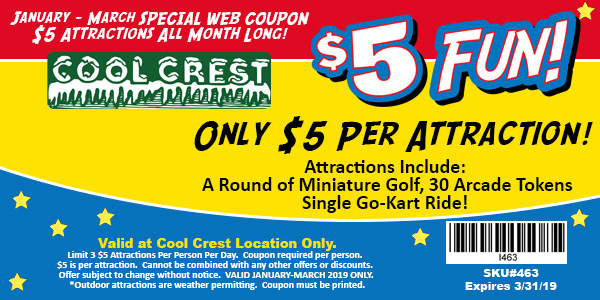 Mini Golf is weather permitting.